Former leader of hacktivist group LulzSec turned FBI informer, Hector Xavier Monsegur, has been spared a hefty jail sentence for co-operating with authorities. Although facing up to 26 years in jail for cyber attacks in 2011 against Sony Pictures Entertainment, Fox Broadcasting Company and the Public Broadcasting Service, he was sentenced to a year’s supervision. In a New York court, a judge sentenced him to a jail term of seven months, which he has already served in line with prosecutor recommendations. Prosecutors argued for a lenient sentence because Monsegur has helped stop more than 300 cyber attacks since his arrest in 2011. But the sentence was not well received by members of the hacktivist community who labelled him as a “traitor” and a “super snitch”, according to the BBC. Court documents made public this week described how Monsegur had been "approached on the street and threatened or menaced" once details of his cooperation had become known. 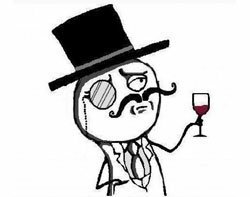 LulzSec was formed in May 2011 when Monsegur, also known as Sabu, and five other members of the Anonymous hacktivist collective joined forces. Since his arrest, prosecutors said Monsegur has helped prevent major hacking attacks against military, government and commercial targets, thereby preventing losses worth millions of dollars. He has aided the FBI in several key arrests, prosecutions and convictions in the US, UK and elsewhere, including that of Anonymous member and US cyber crime kingpin Jeremy Hammond, for an attack on the Stratfor security think tank in 2011. Monsegur is also credited with exposing a hoax attack on the US power grid and telling US authorities about vulnerabilities that could have led to attacks on a water utility for a US city and a foreign energy company.